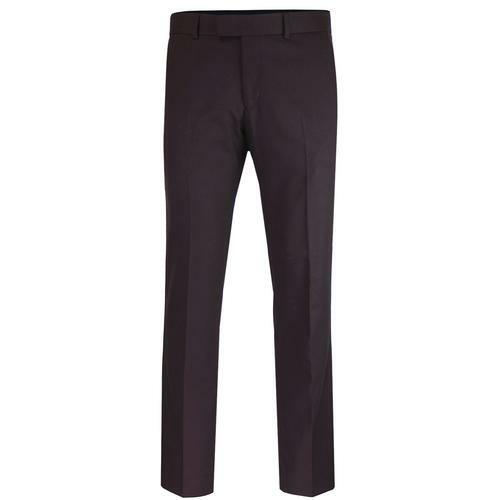 Antique Rogue men's 1960s mod waffle textured hopsack suit trousers in burgundy. A hint of contrast stitching to the back button down jetted pocket adds a flash of colour to these classic slim cut retro suit trousers. 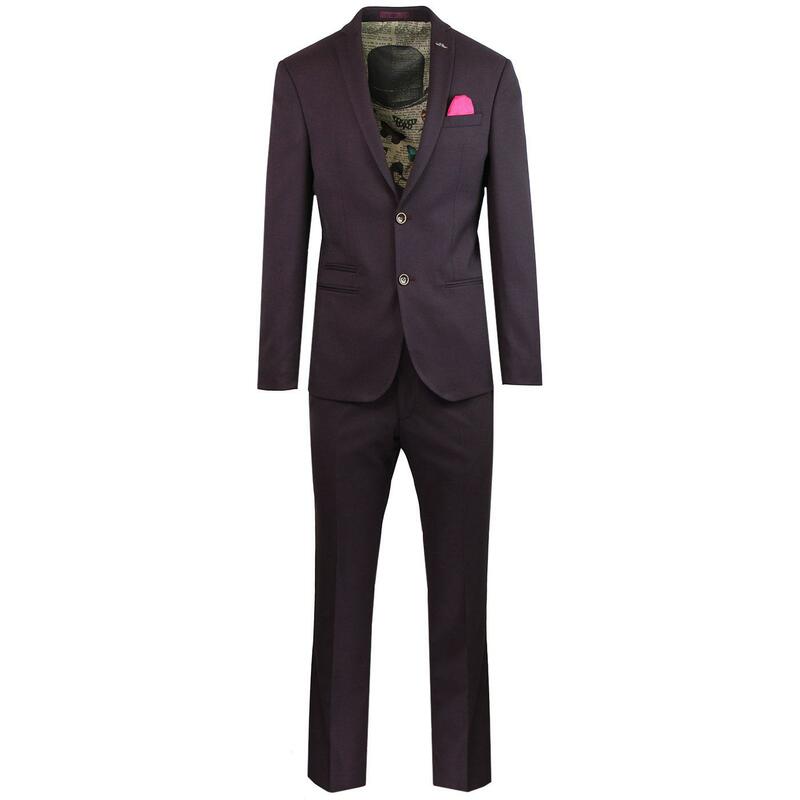 Two slant pockets to sides, double clasp tab waistband and zip fly finish the trousers off in typical tailored style. These Antique Rogue burgundy suit trousers benefit from a sublime textured hopsack waffle fabric construction that really catches the eye. 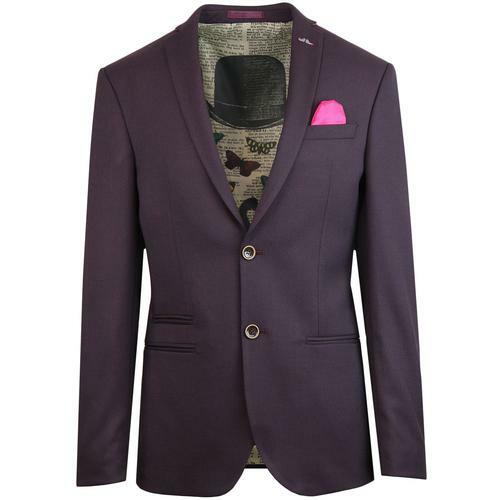 Team with the matching 60s mod 2 button single breasted suit blazer to create a truly stand out two piece suit. SKU: A18501S 590 Tex Suit.